Family Law forms. Ready for immediate use. Money Back Guarantee. 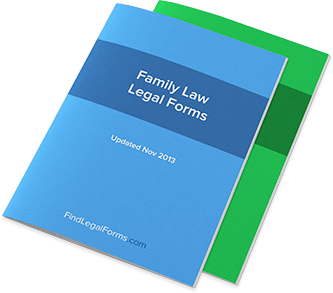 Family Law forms for are contracts, forms and agreements used in a variety of family-related situations. They cover the forms used if you are getting married, are married or if you need to get a divorce. Child Support: Forms that provide for the care of the children. Wedding Related Forms: Everything you need to plan and have a wedding. Forms used by anyone who is owed or owes child support to help resolve various issues. Forms used to plan a wedding or reception including wedding planner agreements and various checklists for use before and after the wedding. Custody or Visitation Petitions This Georgia Petition for Visitation Package is for use by a father who wants to establish visitation or custody after his rights have been legitimized. Guardianship Order An Order to become a Guardian. Guardianship Petition This agreement will award temporary guardianship of a minor child without going to court. Washington - Emancipation of Minors Kit All the forms and information to successfully emancipate a minor in Washington State. Parental Permission and Medical Consent Parents to grant permission to their child to participate in an activity organized by a school or other group. Honeymoon Checklist Various checklist helpful in planning a Honeymoon. Pre-Wedding Checklist Various Pre-Wedding Checklist helpful in pre-planning a Wedding. Wedding Checklist & Guide Various checklists and guides used to plan and organize a Wedding. Wedding Planner Agreement Wedding Planner Agreement Kit with Agreements and Forms used to select and hire a Wedding Planner.